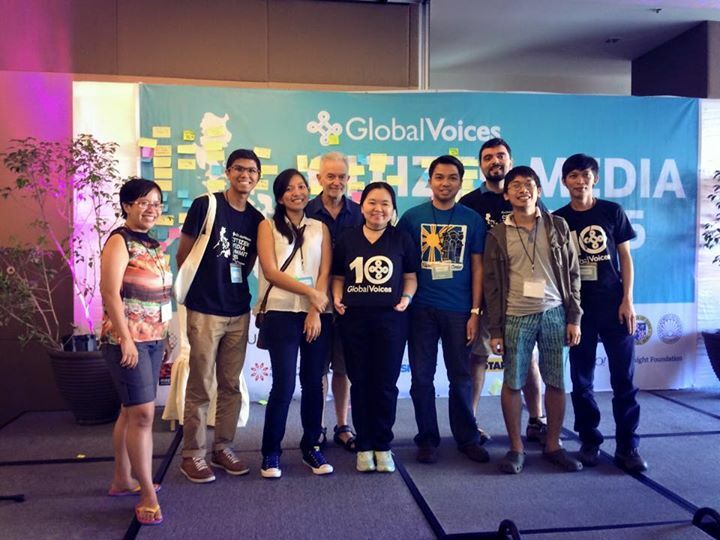 Members of the Southeast Asia team of Global Voices during the 2015 Cebu Summit. In 2018, Global Voices newsroom editors, section leaders, and other core team members will be experimenting with a new approach to our work: periodically setting detailed goals and keeping track of our progress on the Community Blog. In the following post, Southeast Asia regional editor Mong Palatino introduces the proposal to launch a Southeast Asia edition of the Netizen Report. Since Global Voices co-founder Rebecca MacKinnon launched the Advox Netizen Report in 2011, it has become a cornerstone of GV’s coverage of human rights issues in the digital era and a go-to weekly summary of online threats to free speech around the world. In Southeast Asia, there is a clear need to amplify and highlight similar threats happening in the region at a time when democracies are deteriorating as governments are increasingly imposing repressive rules and laws, many of which are taking shape online. In the coming months, the Southeast Asia team will work to build a region-specific Netizen Report that will seek to bring greater attention and focus to the state of online media in Southeast Asia, highlighting not just threats but also issues that can mobilize international support or advocacy. In so doing, we hope to expand the reach of Advox in the region and increase the focus of the Netizen Report on issues in our region. I hope to revive the participation of inactive GV authors and to build a stronger sense of team collaboration, by allowing contributors to be involved through research and sporadic collaboration on short news items, which is typically much less time-consuming than writing a full-length GV post. We can maximize our existing partnerships for stories to include in the report: Prachatai (Thailand), Irrawaddy (Myanmar), Loa (Vietnam). I can also list regional websites that summarize NR-related stories such as SEAPA, IFEX (GV Partner), Forum Asia, and Engage Media. Third month: Publish two Southeast Asia Netizen Reports! I hope to encourage greater team contribution from our current authors; reactivate GV authors based in the region; and recruit more who are interested in submitting stories or ideas for reports. If successful, I think the regional report will be used as a resource by media groups, human rights groups, and scholars who are covering these issues.